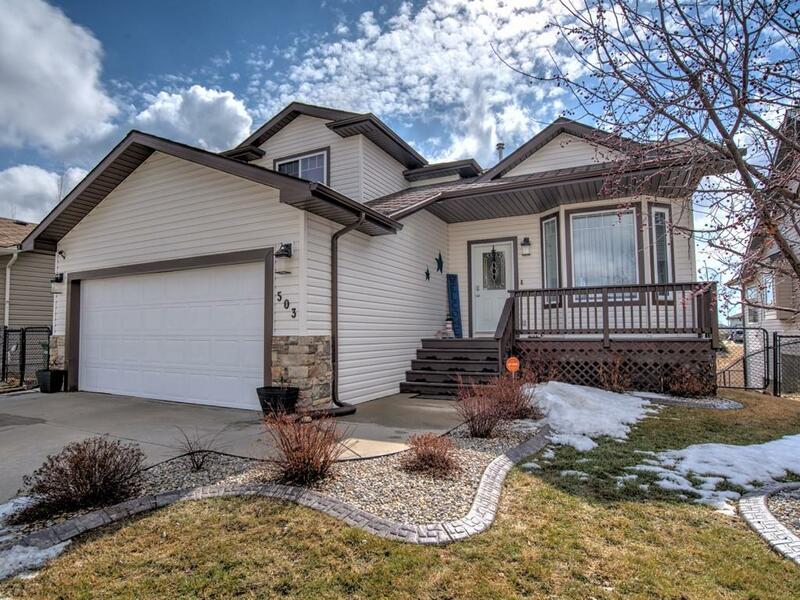 DESCRIPTION THIS FULLY FINISHED HOME- WITH WALKOUT BASEMENT - BACKING ONTO GREEN SPACE IS A MUST SEE ! IMMACULATE - PICTURE PERFECT- MOVE IN READY ! OPEN & SPACIOUS IN DESIGN FEATURING : 4 OVER SIZED BEDROOMS , OPEN BRIGHT MAIN FLOOR FAMILY RM, LARGE KITCHEN WITH ISLAND, GAMES RM, 2 DECKS, UPGRADED APPLIANCES,VAULTED CEILINGS ....THE LIST GOES ON.... IDEALLY LOCATED - MOVE IN & ENJOY ! THE SELLER IS OFFERING A $3,000.00 DECORATING BONUS TO BUYERS !!! Home for sale at 503 Highland Cl Strathmore, Alberts T1P 1Z5. Description: The home at 503 Highland Cl Strathmore, Alberta T1P 1Z5 with the MLS® Number C4224734 is currently listed at $409,900.